When I was growing up in rural Texas, my favorite tree was a tall willow in the backyard. I loved to climb it and spend hours reading in its branches. But, I also loved to watch it sway in the wind, especially during a wild Texas thunderstorm. It never mattered how tough the weather was – it could bend and withstand anything. Early in my career, I thought it was important to know exactly where you wanted to go and plan to get there. 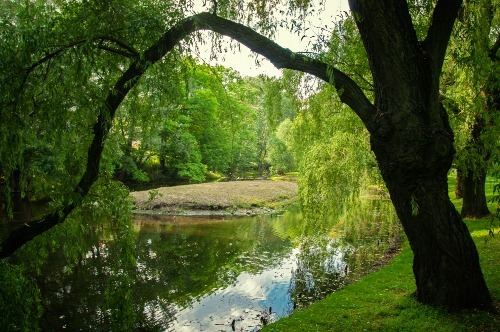 Now after many storms and much life experience I have realized that it is important to be like the willow tree, both focused AND flexible in planning. Cherish the organization’s history, but not let it limit their aspirations? Feel like they can uniquely make a positive difference through the organization’s work and take individual responsibility for their work? Get energized by new opportunities and/or challenges? Know how to identify and manage risk in a timely fashion? Maintain a connection with someone to whom they can turn for support in work-related matters? Tackle conflict head-on as an opportunity to learn and grow as well as make better decisions for the organization? Respond constructively and calmly to bad news or unexpected events? Promote a culture that supports self-care and prevents burnout? Understand that their actions (or inaction) often directly affect the outcome of events? Accept the consequences of those actions and take responsibility for it? If you can answer “yes” to at least six of these questions, your organization is likely able to handle routine and unexpected stress relatively well. However, if you cannot or if you’re simply on a path of continuous improvement, here are a few tips to help build your organization’s resilience this year. Know yourself: By regularly taking stock of the organization’s strengths, challenges and risks through an ongoing strategic planning process, you will build a sense of competence and confidence required of resilient organizations. This requires you to not only know yourself, but also to know how you interact with other agencies in your ecosystem. Then, you will inherently know your organization’s “sweet spot” (or unique value proposition) in the community and be better equipped to communicate it easily and effectively. Knowing your organization’s and individual staff members’ core competencies helps establish realistic expectations, goals and boundaries for your work. Stay relevant: We live in a dynamic world and have experienced tectonic shifts in the social sector. To be resilient, you must also be responsive to the outside world and the inevitable shifts in funding, trends and needs. To do this, participate in network or coalition activities selectively and strategically. Attend conferences and sessions that spark new ways of thinking and doing. Conduct informational interviews and networking sessions with other nonprofits to find ways to better collaborate and create a more seamless approach to your services. Ask for regular feedback on how you can improve your services. This culture of learning will help you stay relevant to those around you and allow you to bend easily as things change. Develop your staff: Organizational resilience is inextricably linked to the resilience of your employees and their feeling that their contributions matter. Building these capabilities in your team members can be accomplished by building organizational values into your organization’s culture, setting individual goals in annual and ongoing performance reviews and providing formal or informal opportunities to build those skills. In addition, find ways to encourage and model self-care within your organization. Create a risk management plan: Two other elements that are important in building resilience are control and coping. There is a limit to which organizations can influence outcomes by doing the research, working hard and staying focused. Resilient organizations know this and can respond constructively when the result is not as desired. To prepare for the unknown and get your team mentally ready to process the outcome, develop a risk management plan. Assess the key risks or challenges your organization may face in the near future and develop contingency plans for those scenarios. A little bit of preparation will help minimize stress if the worst-case scenario materializes. And, even if your worst-case scenario never happens (and we hope it doesn’t! ), your team will have the routine down and will work like clockwork when the unexpected occurs. Given the stressful nature of the social sector’s work, resilience is key to our success. If we adopt the resilience of the willow tree, we can withstand the winds of change and grow stronger as a sector. We would love to hear how your organization scored on our quiz and what has helped your organization be more resilient.